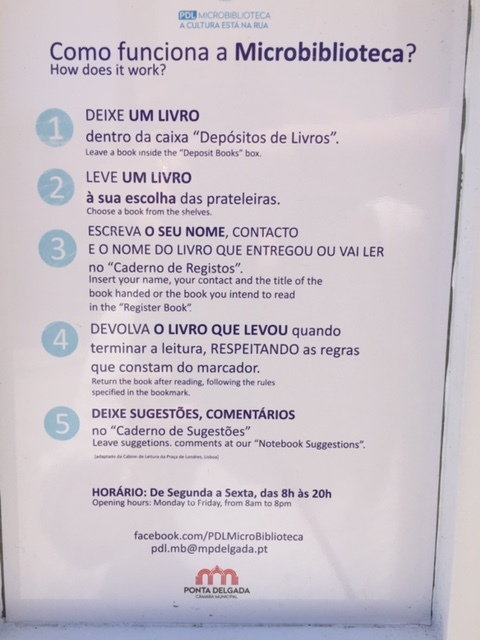 What a lovely surprise to find this Micro Library in the center of Ponta Delgada on Sao Miguel Island in the Azores. You can borrow a book (you enter the information into a log book) and you can donate books too. 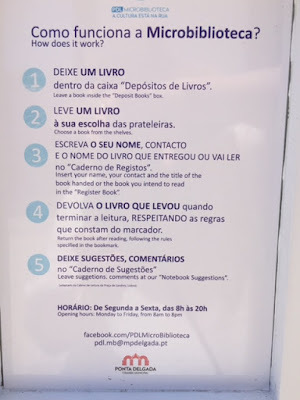 I wish I had had a book to contribute and that I could read Portuguese.